Before any divorce can be resolved, the divorcing couple must come to an agreement regarding how to divide all marital assets and debts, legally referred to as an “equitable distribution agreement“. While there are unique aspects to the valuation and division of many different types of assets, our article today will focus on the division of retirement assets, and more specifically the role of Qualified Domestic Relations Orders (QDROs) in the divorce retirement asset division process; what they mean, how they work, and which types of retirement plans will fall under a QDRO. When Do I Need a QDRO during my Wall NJ Divorce? 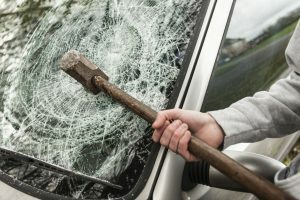 Anytime one spouse, the other, or both paid into any kind of retirement plan such as a 401k, or receives a pension from their former employer, it is highly likely that at least some portion (if not all) of these retirement assets will be considered property of the marriage, and as such will need to be equitably divided before a divorce can be finalized. While certainly not exclusive to “gray divorces“, the division of retirement assets is often one of the most important issues that will need to be resolved as part of any divorce involving adults ages 50 and over. Of course, just because a retirement fund or some portion of it is subject to equitable distribution does not necessarily mean that funds will need to be withdrawn from said plan. Especially when the retirement account in question does not qualify for a QDRO (continue reading for more information), your Wall NJ divorce attorney may instead recommend that these retirement assets are left in the account under the name of one spouse in exchange for other assets of roughly equal value. However, if the equitable distribution agreement calls for a spouse to receive payment out of a retirement or pension fund, then some type of court order will be necessary in order for these funds to be withdrawn (QDROs for qualified plans, and regular court orders for un-qualified plans). It is highly recommended that you work with an experienced divorce attorney when drafting such a court order as it will need to be approved by both the courts and the plan administrator in order for funds to be allocated according to the divorce agreement. 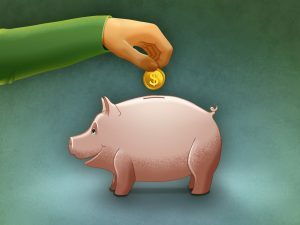 Does My Retirement Plan Qualify for a QDRO? Qualified Domestic Relations Orders can only be used to divide two specific types of retirement plans during a divorce, Defined Benefit Plans and Defined Contribution Plans. In a Defined Benefit Plan (more commonly known as a pension), an employer will pay their employee a non-variable amount as part of their retirement, usually in the form of a monthly check. Depending on the type of retirement plan and its specifics, early-withdrawal penalties may apply. This is yet another reason that we recommend you work with an experienced attorney during the equitable distribution process, as anticipating these penalties and taxes, and accounting for them in the overall value of a retirement plan can often change how exactly you and your spouse ultimately agree to equitably divide these retirement assets during the divorce process. At the Bronzino Law Firm, we have extensive experience helping clients to accurately and fairly value and divide all manner of complex assets during divorce, including retirement funds, business ownerships, investments, properties, jointly-held debts, and more. 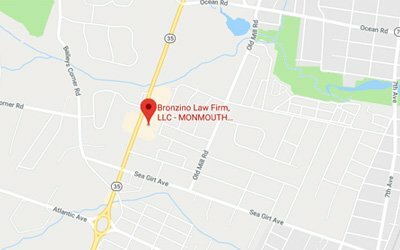 Serving the greater Ocean and Monmouth County area, the smaller size of our law firm allows us to provide the kind of highly attentive legal service that our clients want, while at the same time still charging fair and reasonable rates for our services. 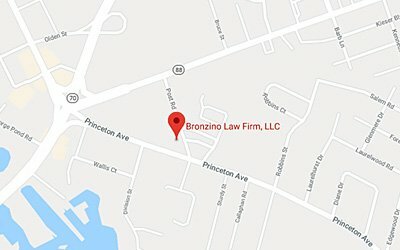 To speak with Attorney Peter J. Bronzino and our legal team today in a free and confidential consultation regarding your divorce, any unique needs or concerns you may have, or any other family law or divorce-related matter, please contact us online, or through either our Brick office or our newly-opened Sea Girt office at (732) 812-3102.